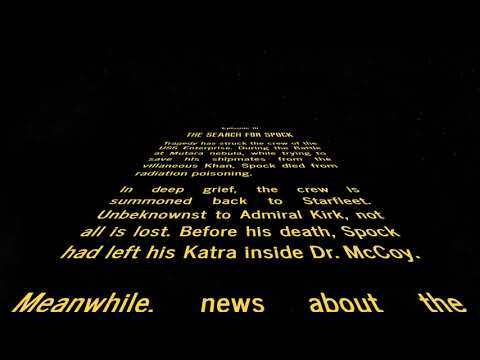 The Star Wars style crawl for Star Trek 3: The Search for Spock that you didn’t know you needed. The audio is not mine. It belongs to the Walt Disney Company.